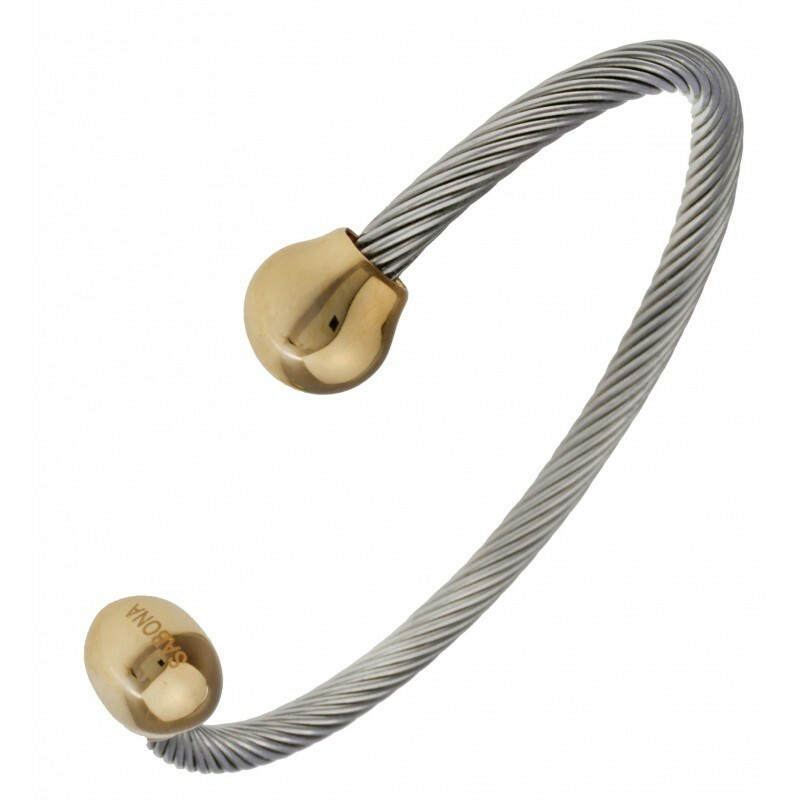 Our cable stainless steel magnetic bracelet is a classic unassuming piece of jewelry perfect for everyday wear. Sport this very sleek magnetic bracelet to untangle your hectic day and streamline your day-to-day tensions and headaches. 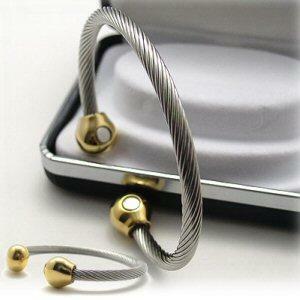 This cable style magnetic bracelet is sleek and perfect for either a man or woman to wear for any occasion. Each stainless steel bracelet has two polished stainless steel spheres polished with three microns of gold plating and contains the strongest neodymium magnets possible. Each laser pointed neodymium magnet weighs at 3800 gauss and lasts forever. These north facing neodymium magnets will provide powerful results year after year as they only lose 1% of their strength every 10 years. 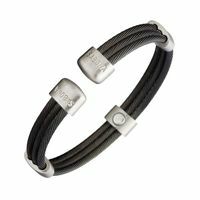 Our stainless steel magnetic bracelet doesn’t just look great; it also arrives in a stylish black velvet jeweler's pouch. Leave it in the pouch so it’s ready to wrap and gift to someone needing a comfortable and energizing bracelet – or start wearing comfort and positivity in your everyday life with your own stainless steel magnetic bracelet! 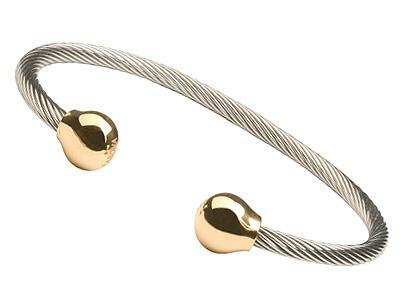 classic gold plated ball stainless steel cable golf bracelet. 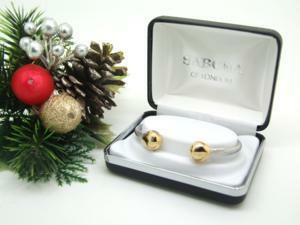 It features two 18K Ionized gold plated stainless steel spheres embedded 1200 gauss north facing magnet each. Simple and clean look with comfort fit on your wrist, yet a very reasonable and affordable price! The bracelet has an open end, so, it is one size for all type of bracelet and will fit most of wrist sizes. The magnetic force activates the metabolism and thus supports all the body's functions. Bring feel-good moments in your life. More power to you!